If you’re looking for a way to become one of the best basketball players that you can be we invite you to one of our Oklahoma City basketball camps. Over the last two decades we have had the privilege of training, mentoring and coaching some of the top players in the game. Coach Calvert has had the great opportunity to personally coach and train Shea Seals of the LA Lakers and is the personal lessons coach of choice for Glory Johnson. His methods have been endorsed by NBA scouts, NBA players and Hall of Fame legend Coach Eddie Sutton of Oklahoma State. To call today at 918 – 955 – 7160. Here we want to produce great players. But we also want to produce great people. How do we do this? By using the methods that not only applies to the game of basketball but our players can also apply to life. A strong character, integrity and a good foundation will result in every single player pushing harder and training harder and become the best they can be. These lessons can also be applied outside the gym and in everyday life. When you send when your kids to our Oklahoma City basketball camps you’ll find that their not only improving as players but it will also improve as people. Take your game to the next level by training with the coaches who know exactly what they are doing. We not only focus on the physical aspects of the game, although this is important but we also focus on the mental aspects of the game. A player who can shoot really well and handle the stress of the game will be a player worth recruiting. 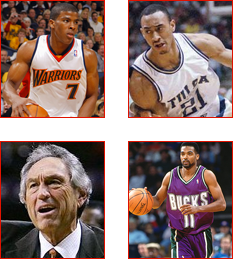 Many of our players have gone on to play for universities and have even gone for the NBA. Even a few of our players have received scholarships for top universities including State, Indiana State and around 100 others. At our Oklahoma City basketball camps we provide a vast opportunity for a variety of skills, drills and lessons that can be taught. During these times all the coaches will focus on the players to make sure that we work on their weaknesses and turn them into ultimately better basketball player. The goal is to produce well-rounded people who can handle anything on the court and handle the stress especially in the heat of the game. You can trust the experience of over 20 years at Score Basketball. So give us a call today at 918 – 955 – 7160 for more information about our basketball camps, our lessons and our clinics. We’re ready for you to get better now through the skills and the drills that we provide here and Score Basketball. For over 20 years we’ve seen players go on to be better people, better players and ultimately better in everything. We are proud to provide this facility for players who are looking to take their game to the next level by training and working. You don’t want to work hard don’t come. We are ready to make you better. Get Better Now. That is what we say here at Score Basketball. Home of the award-winning Coach Calvert and the number one trainer of Shea Seals of the LA Lakers. Here we want to improve upon the players ability to dribble, shoot and ultimately handle the stress of game. We had been featured on ABC, NBC, and CBS. We’ve also been featured in several different local media outlets and articles have been written about us because of our methods and how we teach players. No matter the skill level, our Oklahoma City basketball camps are right for you. Give us a call today at 918 – 955 – 7160. We are home of some the top coaches in the state of Oklahoma. We bring you a brand-new facility with NBA style goals and brand-new basketballs for all of our students. We provide lessons, Oklahoma State basketball camps, clinics and private lessons. Your player will get better if their willing to work hard and willing to train with our coaches. This is not a place for kids to stand around. This is a place for basketball players who take themselves seriously and are ready get better. The method that we use has been endorsed by Hall Of Fame Basketball Coach, Coach Eddie Sutton. It also been endorsed by NBA scouts, NBA players and several different players throughout the state of Oklahoma who have said that Score Basketball it the best thing that has ever happened. We train high school, college, professional and even young ones. Imagine you’re at a place where you can reach higher than ever before. Score Basketball is the place where you can get better now and continue get better because the lessons that we teach. In fact many of our players have gone on to play professional basketball as well as receive several different scholarships to top universities throughout the country. We always mentor players and give them complete focus. We produce a well-rounded player by sharpening their strengths and fixing there weaknesses. Any player who dedicates their time to learn, our coaching ability will make them better. If you’re willing to work hard then we can make it happen. For more information please give us a call at 918 – 955 – 7160 or simply visit us online. Time to get better is now. Time to start acting like player you want to be is now. The time to learn from the best of the best is now. If your seriously considering being a professional basketball player or going to college than Score Basketball and our Oklahoma City basketball camps is the right place for you. Give us a call today! We want to give you all the information you you need to get better now.